A rejuvenating night’s sleep is one of life’s greatest pleasures. Enjoy the peaceful slumber your body and spirit deserve with a Posh + Lavish mattress. This exceptional line of mattresses is hand-made in California by skilled craftsman using only the finest materials available. 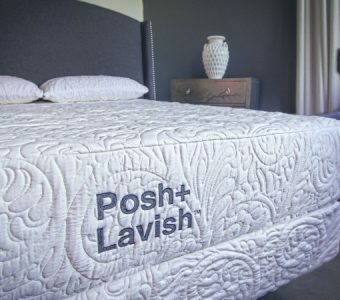 As its name implies, Posh + Lavish is dedicated to creating the ultimate luxury sleep experience. It does this with a buoyant, floating design that helps your muscles relax while supporting your spine throughout the night. Mattress World Northwest is proud to offer this extravagant collection of luxury mattresses in our Oregon showrooms. And with each mattress purchase, Posh + Lavish dedicates 25% of proceeds to help the charitable hospitals at CURE International. Each component in a Posh + Lavish mattress is designed to deliver a decadent tactile sensation. Exquisite comfort and lasting performance are the cornerstones of this ultra-premium collection. For the discerning customer, this is a luxury mattress that needs to be experienced. Try it for yourself and feel the difference of high-end, organic materials and meticulously craftmanship. 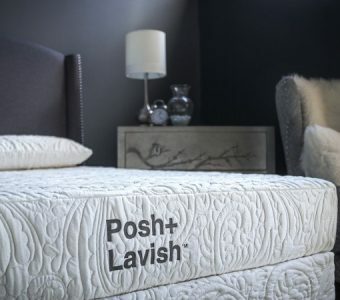 Posh + Lavish mattresses are all-latex construction, with an extra-thick, washable stretch-knit cover made of Tencel yarn. The mattress core is specially designed with natural Talalay latex to deliver “bounce-free” comfort. 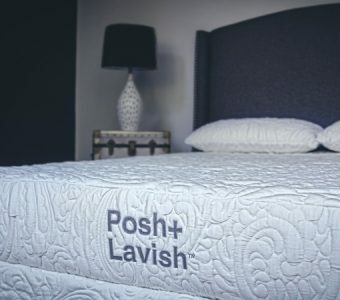 Posh + Lavish was developed under the philosophy that one’s mattress is the ultimate expression of caring for our bodies and minds during sleep. Toward this end, each mattress component is carefully curated to deliver the best in support, relaxation and all-over comfort. Latex – Posh + Lavish uses naturally sourced materials such as long-lasting latex rubber that is Oeko-Tex certified, meaning each assembly is performed using non-toxic, water-based glue. 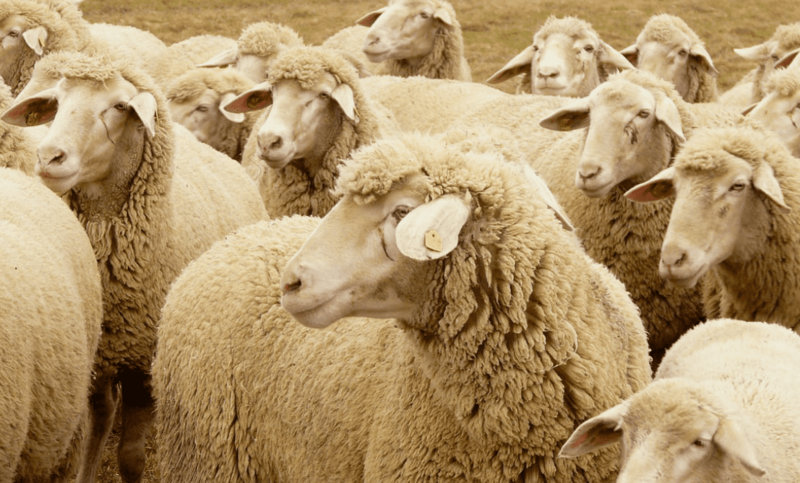 Wool – All-natural, long fiber wool encases all four sides of the mattress. 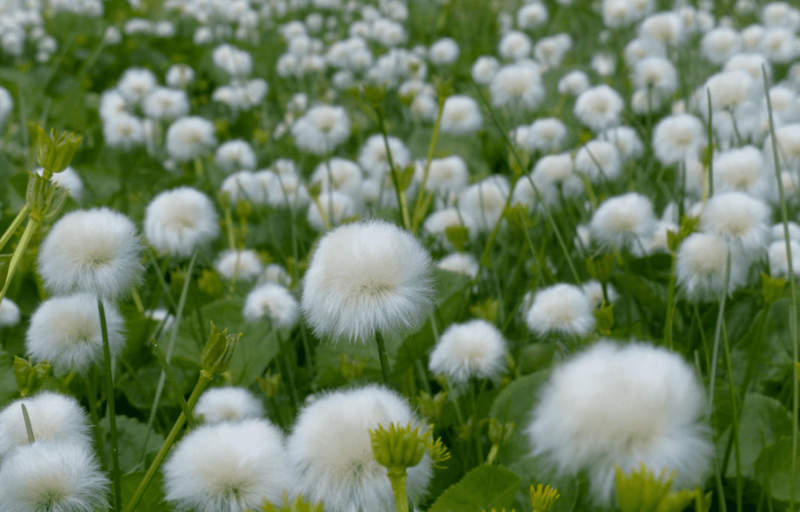 Cotton -Two layers of natural cotton are encased in the wool. Both materials wick away moisture and help keep you cool during warmer weather and warm during cold weather. Tencel Fabric – Each mattress is covered in a premium Tencel knit fabric that is derived from wood pulp and is actually softer than silk. This hard-wearing fabric uses nanotechnology that is moisture absorbent, durable and exceptionally supple. Deep, uninterrupted sleep is incredibly restorative, and gives you the means to rise and shine with a newfound energy and purpose. 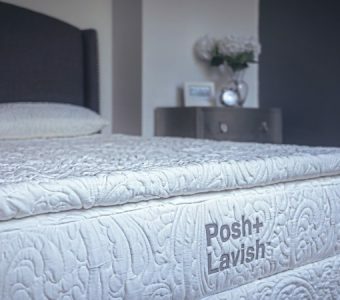 Posh + Lavish mattresses are in a class all their own and feature a 20-year warranty that speaks to the overwhelming confidence in the product. 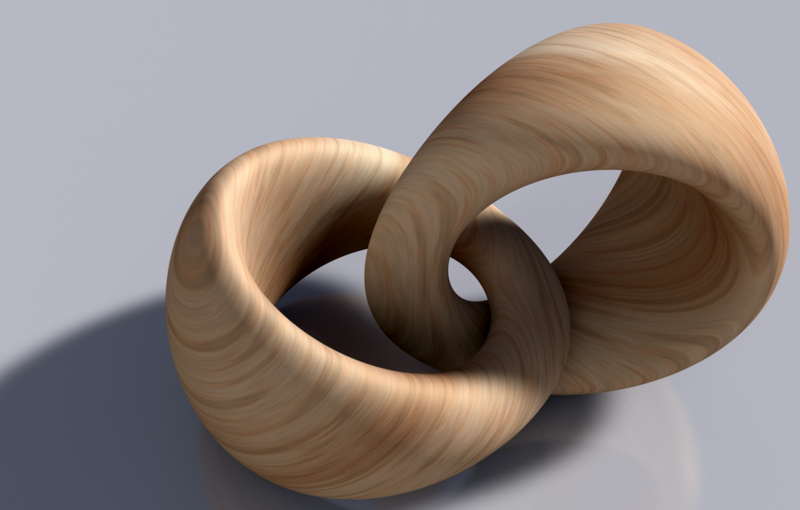 Materials Hand-made using only the finest organic materials. 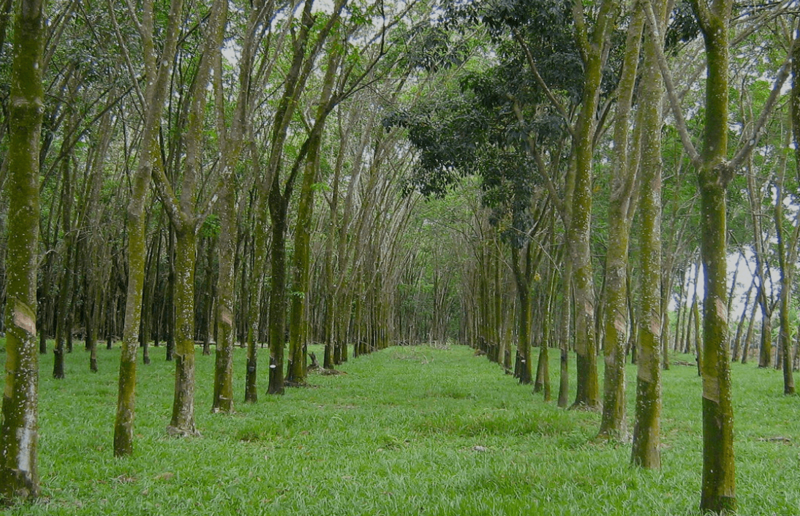 Latex Oeko-Tex certified naturally sourced, non-toxic latex rubber. Wool Each mattress is fully encased with natural long-fiber wool covers with two layers of natural cotton. Cotton Keeping you both cool and warm as needed, natural cotton wicks away moisture so you can sleep peacefully. 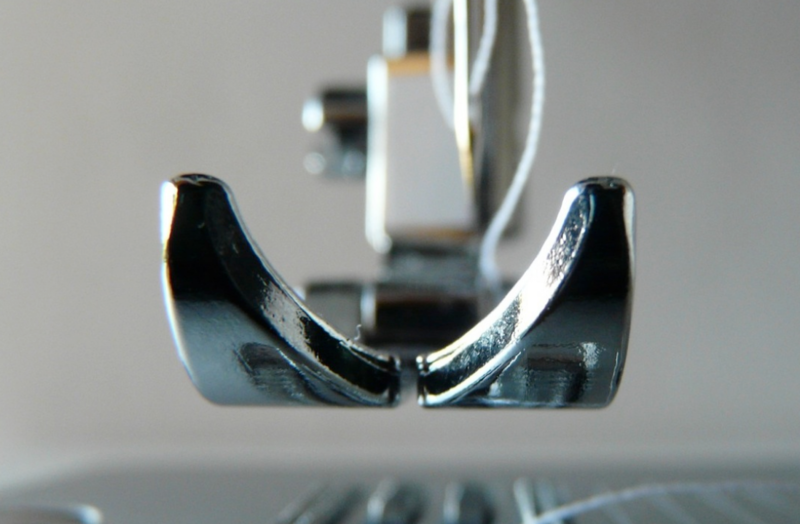 Fabric Nanotechnology Tencel-faced fabric made from wood pulp is super absorbent and incredibly soft. Moreover, the premium latex is one of the top performing pressure relieving materials that is naturally resistant to mold, mildew and dust-mites. All mattress materials are free of chemicals, toxins and are Oeko-Tex certified. Indulge in the sumptuous comfort and unsurpassed luxury of this flagship collection. 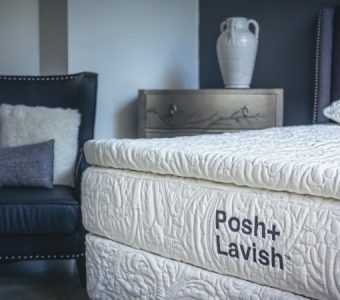 You’ll find Posh + Lavish models in all 13 of our Oregon Mattress World Northwest store locations, from Salem to Jantzen Beach. Have questions? Our Sleep Specialists are happy to answer queries about this exciting addition to the luxury mattress industry.